GRAND PRIORY OF GREAT BRITAIN: St Marriane Cope - "Mother of the Outcasts"
Since its foundation the Military and Hospitaller Order of St Lazarus of Jerusalem has had a special care for those suffering from leprosy. Indeed it began by welcoming knights from other Orders who had been stricken by this disease. Those suffering from leprosy, or Hanson's Disease as it is now known, have always been at the heart of the mission and prayers of the Order. The Order is overjoyed that the Holy Father, Pope Benedict XVI, will tomorrow raise to the Altars Mother Marriane Cope, a woman beloved in Hawaii and known as “Mother of the Outcasts” for her work among the sick, declaring her a Saint. Her Canonisation comes nearly a century after Mother Marianne's 1918 death at Kalaupapa, an isolated peninsula on Molokai Island where Hawaii governments forcibly exiled leprosy patients for decades. Barbara Koob (now officially "Cope") was born on 23 January 1838 in SE Hessen, West Germany. She was one of 10 children born to Peter Koob, a farmer, and Barbara Witzenbacher Koob. The year after Barbara's birth, the family moved to the United States. The Koob family found a home in Utica, in the State of New York, where they became members of St Joseph's Parish and where the children attended the parish school. Although Barbara felt called to Religious life at an early age, her vocation was delayed for nine years because of family obligations. As the oldest child at home, she went to work in a factory after completing eighth grade in order to support her family when her father became ill. Finally, in the summer of 1862 at age 24, Barbara entered the Sisters of St Francis in Syracuse, N.Y. On 19 November 1862 she received the religious habit and the name "Sr Marianne", and the following year she made her religious profession and began serving as a teacher and principal in several elementary schools in New York State. She joined the Order in Syracuse with the intention of teaching, but her life soon became a series of administrative appointments. As a member of the governing boards of her Religious Community in the 1860s, she participated in the establishment of two of the first hospitals in the central New York area. In 1870, she began a new ministry as a nurse-administrator at St Joseph's in Syracuse, N.Y., where she served as head administrator for six years. During this time she put her gifts of intelligence and people skills to good use as a facilitator, demonstrating the energy of a woman motivated by God alone. Although Mother Marianne was often criticized for accepting for treatment "outcast" patients such as alcoholics, she became well-known and loved in the central New York area for her kindness, wisdom and down-to-earth practicality. 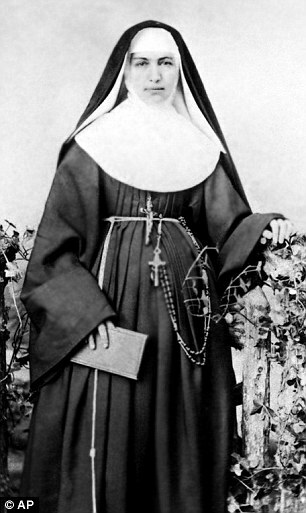 In 1883, Mother Marianne, now the Provincial Mother in Syracuse, received a letter from a Catholic priest asking for help in managing hospitals and schools in the Hawaiian Islands, and mainly to work with leprosy patients. The letter touched Mother Marianne's heart and she enthusiastically responded: "I am hungry for the work and I wish with all my heart to be one of the chosen ones, whose privilege it will be to sacrifice themselves for the salvation of the souls of the poor Islanders.... I am not afraid of any disease, hence, it would be my greatest delight even to minister to the abandoned "lepers'". She and six other Sisters of St Francis arrived in Honolulu in November 1883. With Mother Marianne as supervisor, their main task was to manage the Kaka'ako Branch Hospital on Oahu, which served as a receiving station for patients with Hansen's disease gathered from all over the islands. The Sisters quickly set to work cleaning the hospital and tending to its 200 patients. By 1885, they had made major improvements to the living conditions and treatment of the patients. In November of that year, they also founded the Kapi'olani Home inside the hospital compound, established to care for the healthy daughters of Hansen's disease patients at Kaka'ako and Kalawao. The unusual decision to open a home for healthy children on leprosy hospital premises was made because only the Sisters would care for those so closely related to people with the dreaded disease. Mother Marianne met Fr Damien de Veuster (today Saint Damien is known as the "Apostle to Lepers") for the first time in January 1884, when he was in apparent good health. 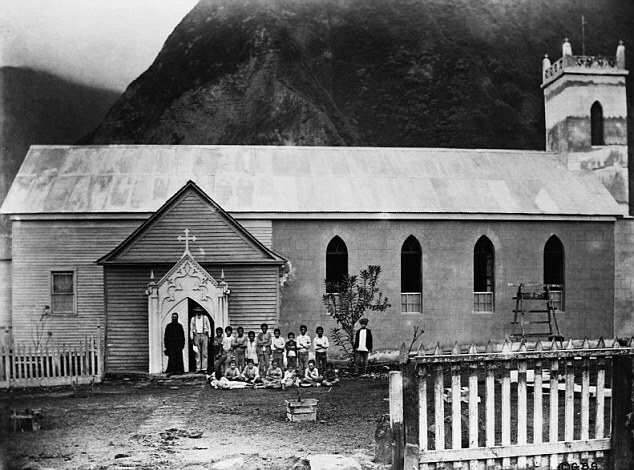 Two years later, in 1886, after he had been diagnosed with Hansen's disease, Mother Marianne alone gave hospitality to the outcast priest upon hearing that his illness made him an unwelcome visitor to Church and Government leaders in Honolulu. In 1887, when a new Government took charge in Hawaii, its officials decided to close the Oahu Hospital and receiving station and to reinforce the former alienation policy. The unanswered question: Who would care for the sick, who once again would be sent to a settlement for exiles on the Kalaupapa Peninsula on the island of Molokai? In 1888, Mother Marianne again responded to the plea for help and said: "We will cheerfully accept the work...". She arrived in Kalaupapa several months before Fr Damien's death together with Sr Leopoldina Burns and Sr Vincentia McCormick, and was able to console the ailing priest by assuring him that she would provide care for the patients at the Boys' Home at Kalawao that he had founded. Together the three Sisters ran the Bishop Home for 103 Girls and the Home for Boys. The workload was extreme and the burden at times seemed overwhelming. In moments of despair, Sr Leopoldina reflected: "How long, O Lord, must I see only those who are sick and covered with leprosy?". Mother Marianne's invaluable example of never-failing optimism, serenity and trust in God inspired hope in those around her and allayed the Sisters' fear of catching leprosy. She taught her Sisters that their primary duty was "to make life as pleasant and as comfortable as possible for those of our fellow creatures whom God has chosen to afflict with this terrible disease...". Mother Marianne never returned to Syracuse. She died in Hawaii on 9 August 1918 of natural causes and was buried on the grounds of Bishop Home. Mother Marianne died on August 9, 1918 and was beatified in 2005 and is now to join the glorious ranks of canonized Saints. Lord Jesus, you who gave us your commandment of love of God and neighbour, and identified yourself in a special way with the most needy of your people, hear our prayer. Faithful to your teaching, St. Marianne Cope loved and served her neighbor, especially the most desolate outcast, giving herself generously and heroically for those afflicted by leprosy. She alleviated their physical and spiritual sufferings, thus helping them to accept their afflictions with patience. Her care and concern for others manifested the great love you have for us. Through her merits and intercession, grant us the favor which we confidently ask of you so that the people of God, following the inspiration of her life and apostolate, may practice charity towards all according to your word and example. Amen. Through the intercession of St. Marianne Cope, I ask for the grace of (mention your request). Our Father, Hail Mary, Glory Be..